Home » Android , Apple , news » Whatsapp Helpline numbers of Indian Railways are getting 'Good Morning' Messages instead of any actual complaints! on July 31, Western Railway and Central Railway Started These numbers(90044 99773 and 9987645307) were launched to register complains about cleanliness at stations, pay and use toilets etc in India. But officers at Indian Railways claimed :"We have received text messages wishing us good morning, good evening and rest. 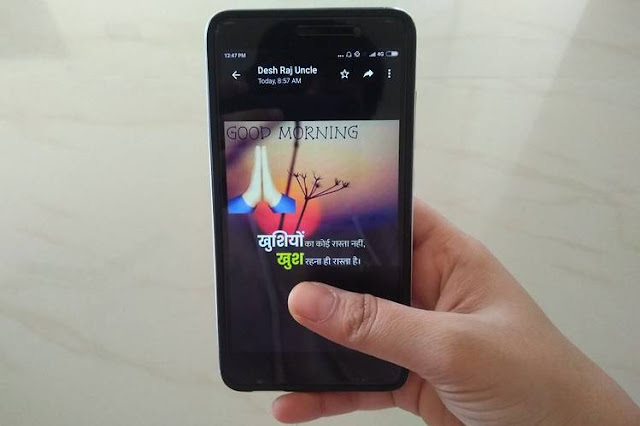 Messages of deities with devotional messages have been forwarded and we have also received amusing Hindi poems." The most weidest fact is that the number of "Whatsapp forwards" received have exceeded the actual complaints!, defeating the purpose of introducing the number. In a week, there were 25 complaints about the lack of cleanliness on these Railway stations. "We have asked the staff to delete these messages, which we receive daily. The most repeated messages include ‘sending a particular forward message to 15 people to ensure good luck in one’s life’. These messages are a nuisance and waste of our time." -officials at Indian Railways added. Among the complaints that have been received, 23 of them were for the Western Railway and two from Central. People can click pictures of the dirty areas and upload them along with the location. Along with these helpline numbers, the Railways is also active on Twitter to address the complaints.